Stunning architectuly designed expanded Cape located in sought after neighborhood, this oversize Contemporary Cape hosts an extravagant open floorplan! Many upgrades & updates make this a one of a kind 2500 sq ft beauty. 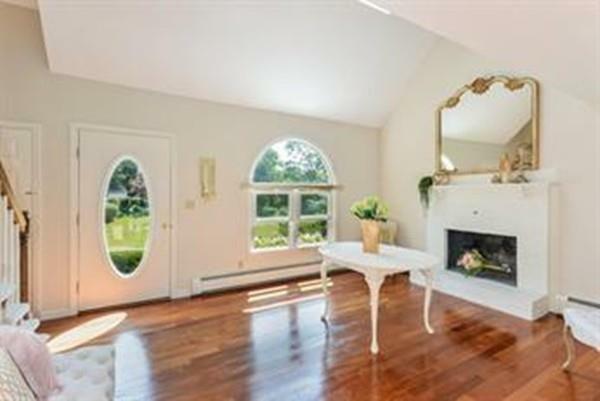 Hosting 4 spacious Brms-incl MBRM SUITE, 2 eloquent full baths, a loft overlooking Cathedral Fireplace DRM open to a lite/brite gourmet granite kitchen w/Island & stainless appliances adorned by an eating & sitting area, an L-shape Family Rm, 1st flr Brm & jacuzzi bath. A covered farmers porch is set above a 2 car attached garage. The delightful combination of the back deck with Pergola & Gazebo, extend the length of the house, which is stately perched on .56 ac treed lot. The upgraded paved drive is enhanced by cobblestone & charismatic retaining walls against profesional landscaping. Elegant & sophisticated, this home in its' location incorporates downtown, the waterfront, schools, medical and shopping facilities with easy access to major routes & commuter trains!